Although we were already present in Mercamadrid, it was in 2015 when we inaugurated our module for the sale of meat products, with an area of ​​one thousand square meters. 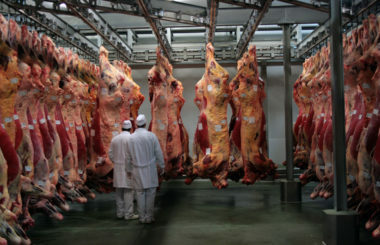 In these modern facilities, Frigoríficos Bandeira has a meat cutting, packaging and conservation room. 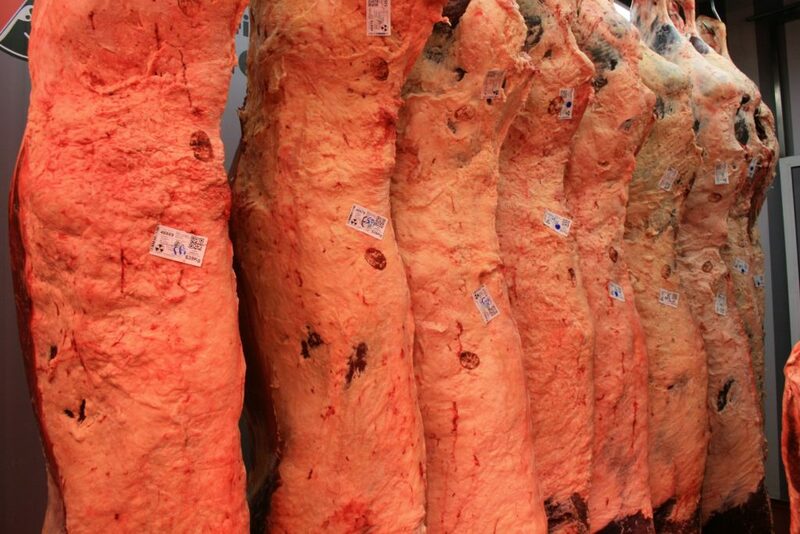 As it could not be otherwise, we are installed in the Meat Market, which came into full operation in 1999. 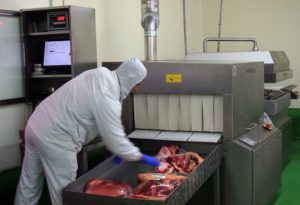 This market was very well received by the marketers of meat products from the Community of Madrid; as well as among the operators belonging to the entire area of ​​influence of the Mercamadrid Alimentary Unit. 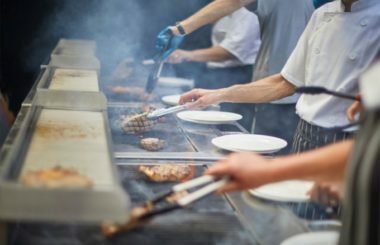 In this large area there are currently 70 meat companies that sell more than 415,000 tons of products per year and we serve a demand of more than 7,000 customers of commercial distribution, catering and hospitality. Mercamadrid is one of the most important fresh food distribution, marketing, transformation and logistics centers in Europe. It is managed by the mixed company Mercamadrid, SA, whose shareholders are the City of Madrid and Mercasa. It occupies 222 hectares, where there are installed 800 trading companies. In 2016, Mercamadrid sold 2.5 million tons of fresh food products. 20,000 people daily access to its facilities to acquire and market fresh produce from 50 countries and distribute it to the five continents. Currently it supplies 12 million consumers in an area of ​​influence of 500 kilometers. This market is one of the leading Food Units in the international scene, thanks not only to the infrastructures and services available, but especially, thanks to the important activity and dynamism that the installed companies are demonstrating in recent times. Mercamadrid brings together, in addition to the Meat Market where Frigoríficos Bandeira is located, the Central Markets of Fish, Fruits and Vegetables of Madrid, multi-purpose companies specialized in the food sector and a wide range of service companies: industrial cold, conservation, logistics, transportation, handling, etc.